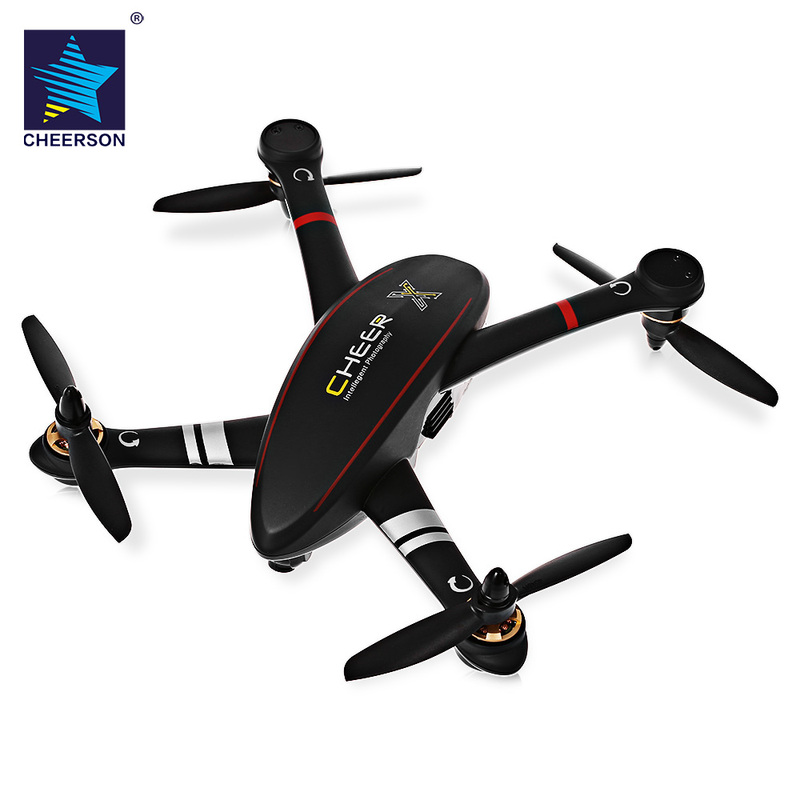 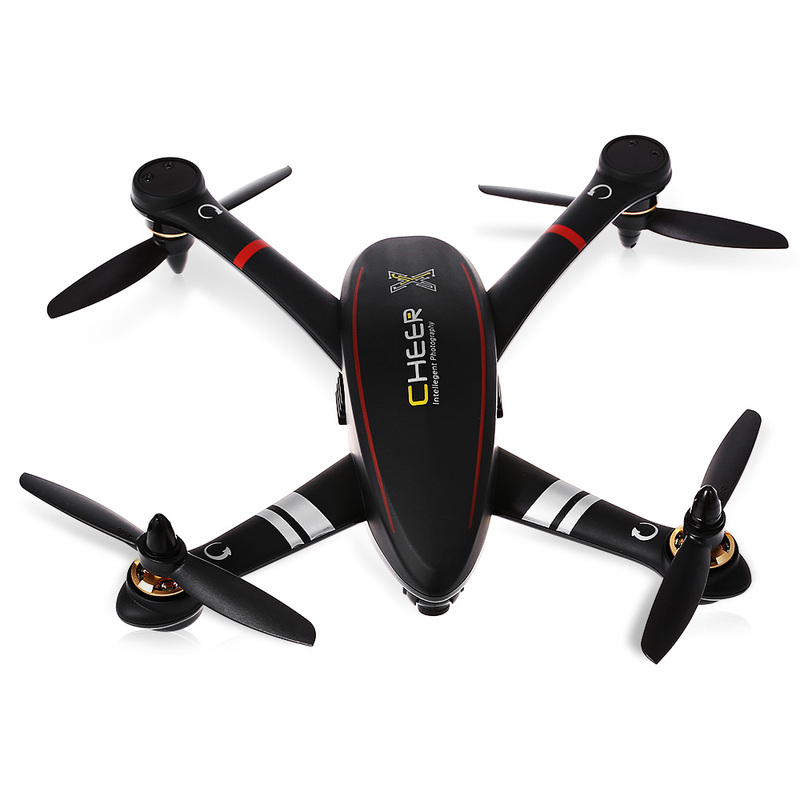 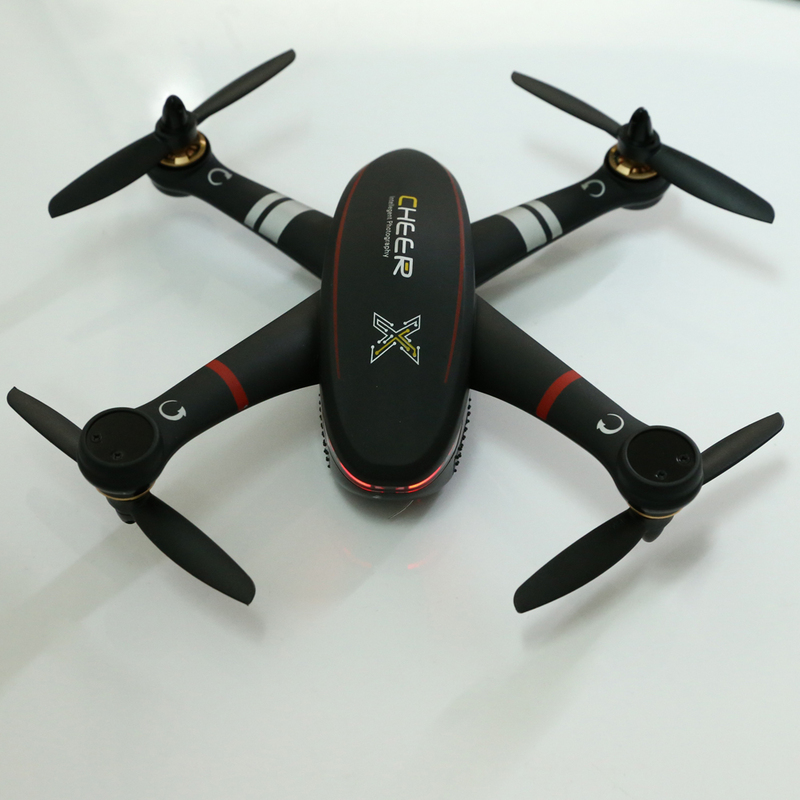 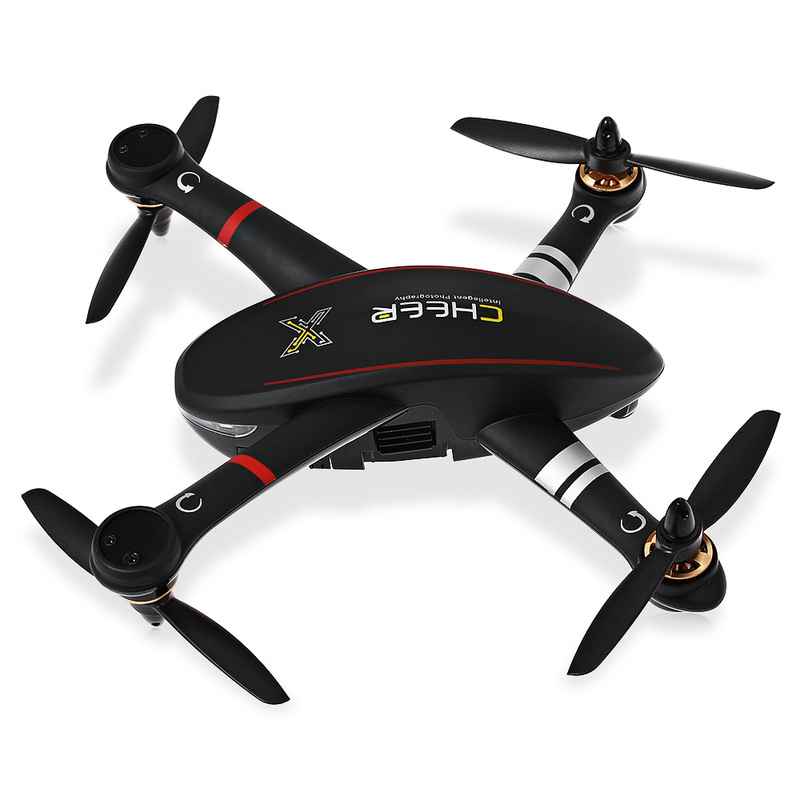 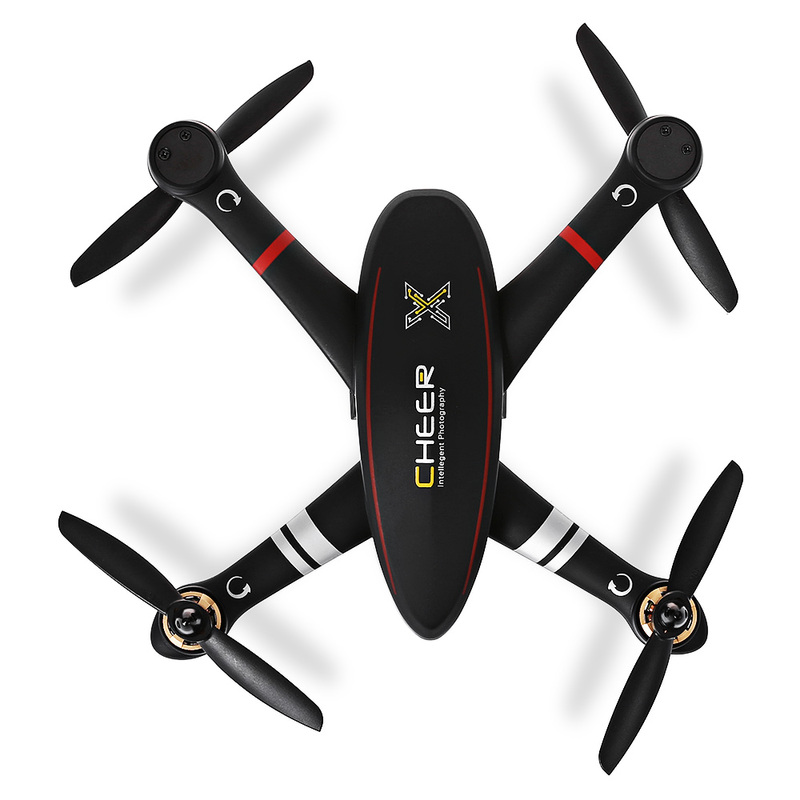 CHEERSON CX – 23 CHEER brushless RC quadcopter makes every moment of your flight cheerful. 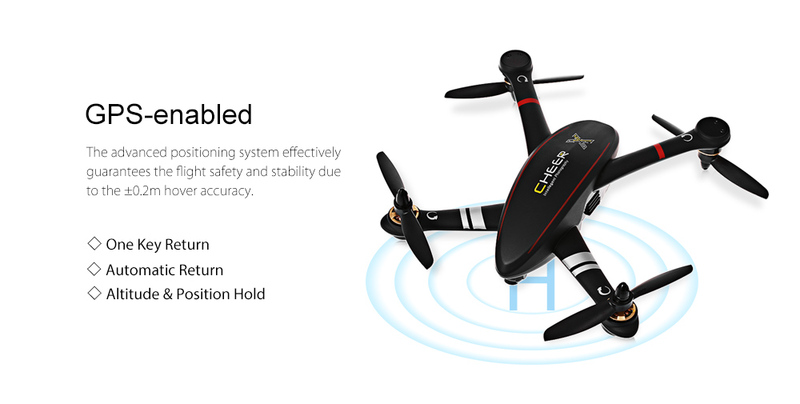 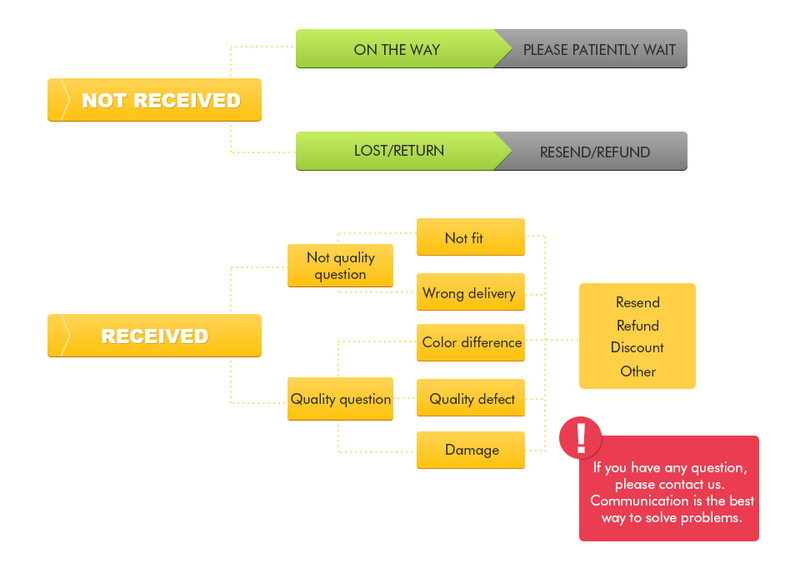 Equipped with GPS, it offers you a more reassuring flight, since it will return automatically in case of loss of signal. 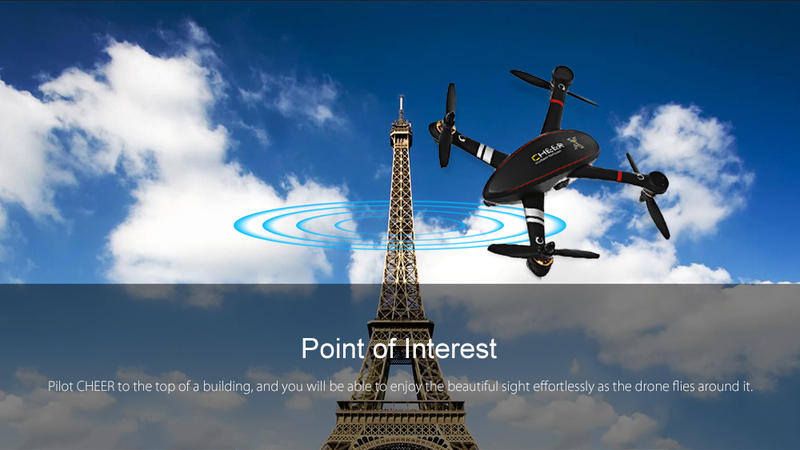 More interestingly, the flight radius can be set up to make the UAV circle around a certain object and get 360-degree panning shots effortlessly. 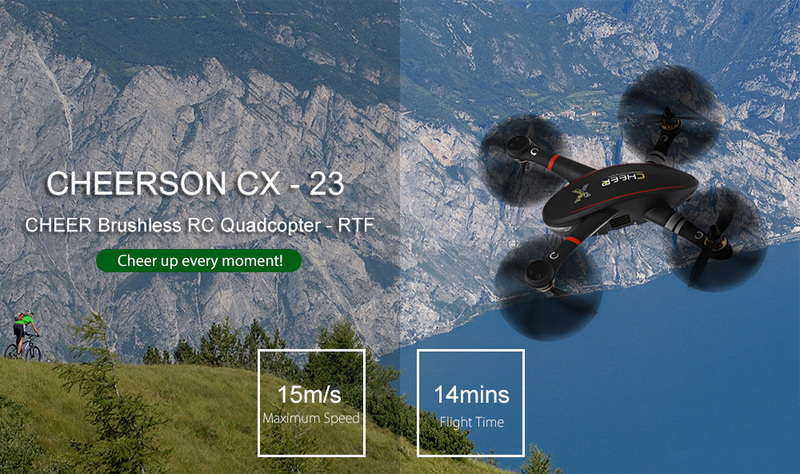 Thanks to the powerful D1306 3300KV brushless motors, the drone can reach the speed of 15m/s ( in Normal Mode ) and 10m/s ( in GPS Mode ), giving you the sensation you are looking forward to. 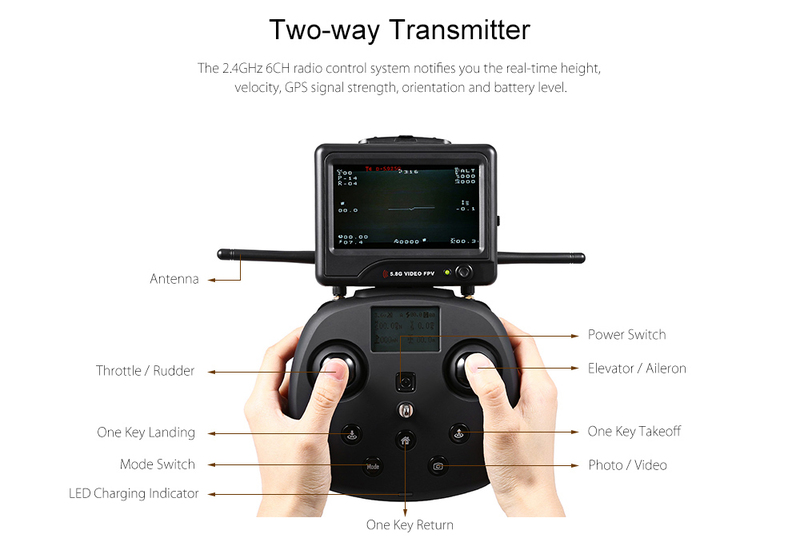 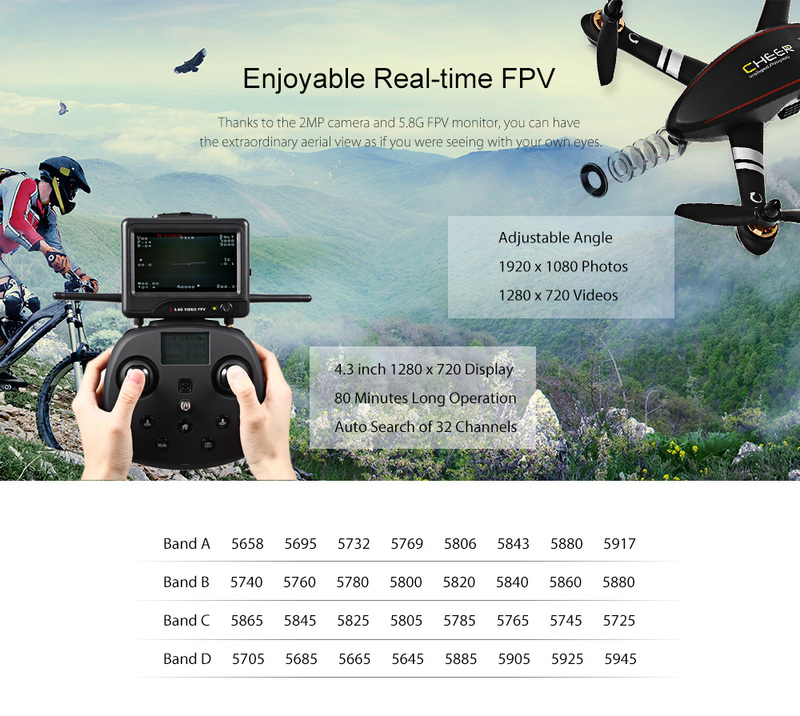 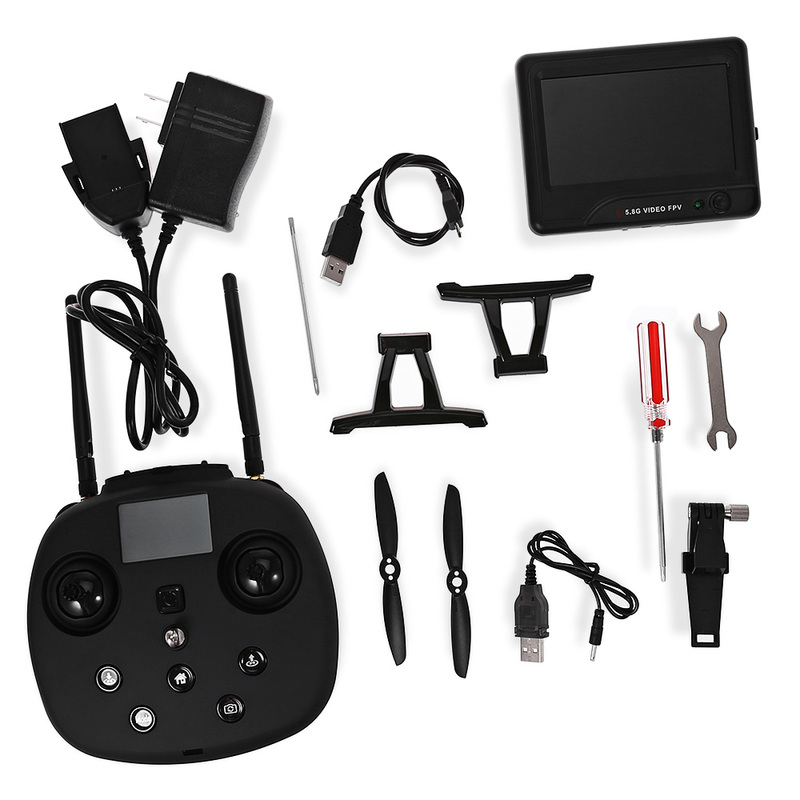 Moreover, 5.8G FPV monitor, which features the OSD and channel auto search, presents the clear and fluent aerial view to you, putting your eyes in the air.